A glamorous lipstick shade looks even better when your lips are preped and this season it has been the Matra hydrating lip balm range that has been helping me protect and hydrate my lips. The newly launched brand - Matra is a Cruelty free brand with products that are 100% Natural and free from synthetic agents, parabens, sulphates, silicones, petrochemicals, glycols and phthalates. 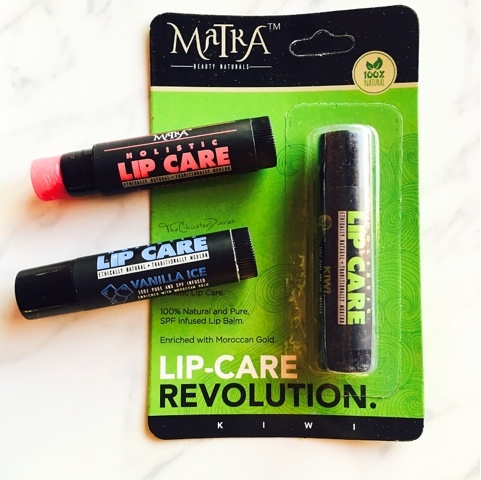 The Matra Lip balm range is infused with natural SPF & Moroccan Gold and contain the goodness of Vitamin A, C and E. Matra products not only hydrate your lips but are targeted to provide a complete 6 step lip nourishment regimen that includes: Treat-Exfoliate-Recreate-Rejuvenate-Moisturize-Nourish. These lip balms are available at the moment in 3 exciting flavors: Vanilla Ice, Kiwi and Strawberry. My favorite of the lot is Strawberry as it leaves a beautiful rosy tint on my lips while hydrating them perfectly. Notes: Cherry blossom, magnolia, hinoki woods and apple zest. I have had this fragrance for a while now and thus the packaging is different to the one available now in stores. The Body Shop Japanese Cherry Blossom Fragrance mist is the perfect blend of floral and fruity notes. The fragrance is light and feminine and is the perfect spring/summer fragrance. However, I prefer using this as a daytime wear fragrance throughout the year by layering it with other Floral EDT's. Since it is a mist, the fragrance on its own does not last very long and fades away in a matter of 2 hours. I am almost done using this but I am surely going to repurchase it as it it is honestly one of the best layering fragrances I have used. SkinnyDip London is a Britain based accessory store that has a mix of chic, stylish, quirky and fashion-forward accessories to offer. Their quirky smartphone cases had caught my attention a couple of times in TopShop and I absolutely couldn't resist myself from buying this blingy iPhone case. The slim and lightweight premium quality iPhone cases are literally everything you need to pimp your phone this festive season. 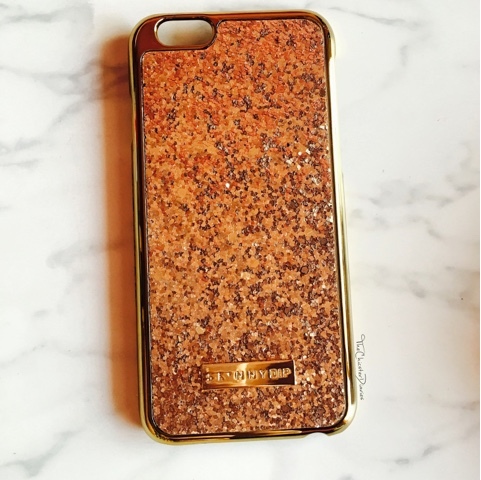 This sparkling gold iPhone case in particular is the perfect combination of stylish and chic that offers protection against bumps and drops. Plum has been one of my favorite skincare brands for a long time now mainly because all of their products are Paraben-free, SLS-free and phthalate-free. This newly launched Vanilla & Fig Sweet Fondue Body Lotion by Plum is truly one of the best scented body lotions I have used. The sweet scent of Vanilla and Fig is not at all overpowering but is rather very subtle and calming. This lotion is made with the goodness of Shea butter and sunflower seed oil and helps hydrate my dry skin very well. 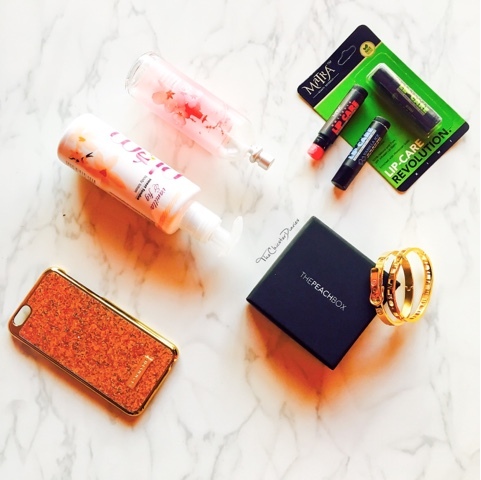 The only word that comes to mind for these accessories is Stunning! The quality of the bangles is top-notch and the finish is lustrous. Also, the detailing and clean cut work is quite remarkable. Nearly all the bangles available online on their website are modern and chic making it much more difficult for me to select. Finally after a lot of self-conflict as to which one is the best, I ended up picking the gold Buckle bangle and the Skinny Roman Empress bangle. 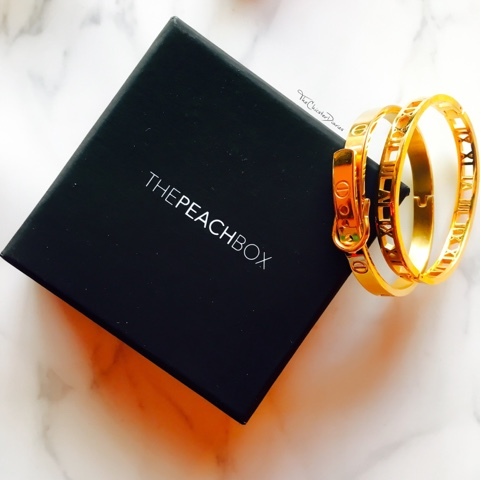 Both these bangles serve as a perfect arm candy and look lovely when paired with a statement watch. Hope you enjoyed reading this post. Drop in a line in the comments section and let me know what were your December Favourites?